July 11, 2018:Avner Vengosh gave a keynote presentation at the British Hydrogeologist Group in the conference “Use of the deep subsurface in the UK: what are the Implications for groundwater resources?” held in London, UK. For the conference program, see here. June 24, 2018: Avner Vengosh gave an invited talk entitled “The Origin of Hydraulic Fracturing Fluids” at the Gordon Research Conference “ Innovations at the Intersections of the Aquatic Sciences: Water Quality, Health, Materials, Technologies”, at Holderness, New Hampshire. For more information on the conference see here. 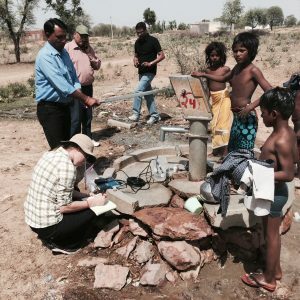 June 7, 2018: A new study shows large-scale uranium contamination in India’s groundwater. As part of Vengosh lab investigation of the quality of groundwater in India, a new study published in Environmental Science and Technology Letters shows high uranium levels in groundwater from different aquifers and areas in India. The study is based on systematic fieldwork and analysis of over 300 water samples in different parts of Rajasthan and Gujarat, combined with extensive data compilation from previous studies and reports throughout India. The geochemistry and uranium isotope ratios indicate that in most cases the source of the uranium in the groundwater is naturally occurring (geogenic) and derived from interactions with the aquifer rocks. 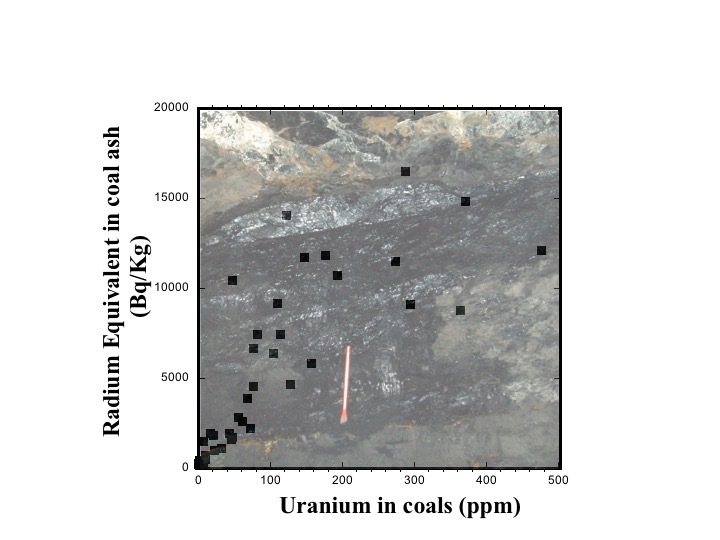 We showed that the high uranium prevalence in groundwater reflects multiple factors such as the aquifer lithology, groundwater oxidation conditions, and water chemistry such as high bicarbonate concentrations that causes the predominance of the soluble uranium-carbonate species. 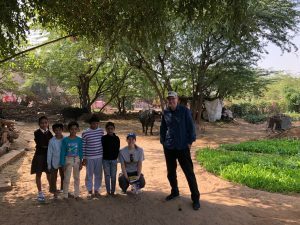 Human activities such as over-exploration and decline of the groundwater level as well as nitrate pollution exacerbate the uranium contamination in the Indian’s groundwater. Duke issues a press release on this study, which was highly cited in the popular media and outlets including Sky News, Tech2, the Indian Express, Money Control, Inhabitat, CanIndia, the Hindu, New Kerala, Economics Times, ScienceDevNet, the pioneer, Digital Journal, Financial Express, Down to Earth Magazine, Radio Florida, Le Demajagua, the Weather Channel, Weird Globe, the News Headline, Eco-Business, the Wire, Daily Pakistan, Free Press Journal, the Times of India, and Mongabay. April 2, 2018: Avner Vengosh is mentioned in an article by Margaret Talbot in the New Yorker: Scott Pruitt’s dirty politics. February 18, 2018: A new paper on the water footprint of hydraulic fracturing in Sichuan basin, China. A new study that quantifies the water footprint of hydraulic fracturing in Sichuan Basin, China was published in Science of the Total Environment. The paper provides, for the first time systematic data on the water use for hydraulic fracturing and the rate of flowback water production from shale gas wells in Weiyuan gas field, one of the major gas fields in Sichuan Basin, China. The study shows that that shale gas production rates during the first 12 months (24 million m3 per well) are similar to gas production rates in U.S. shale basins. 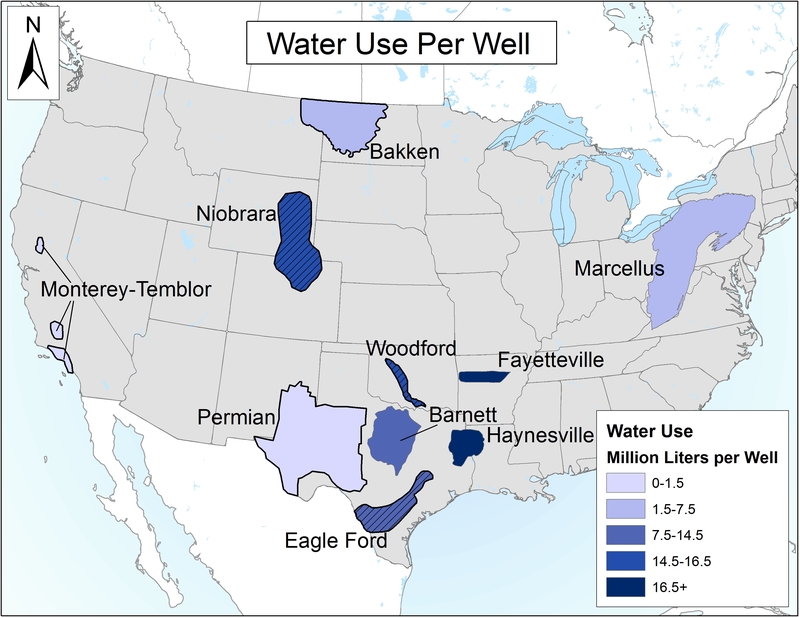 The amount of water used for hydraulic fracturing (34,000 m3 per well) and the volume of flowback and produced (FP) water in the first 12 months (19,800 m3 per well) in Sichuan Basin are also similar to the current water footprints of hydraulic fracturing in U.S. basins. The study utilizes the water use data, empirical decline rates of shale gas and FP water productions in Sichuan Basin to generate two prediction models for water use for hydraulic fracturing and FP water production upon achieving China’s goals to generate 100 billion m3 of shale gas by 2030. 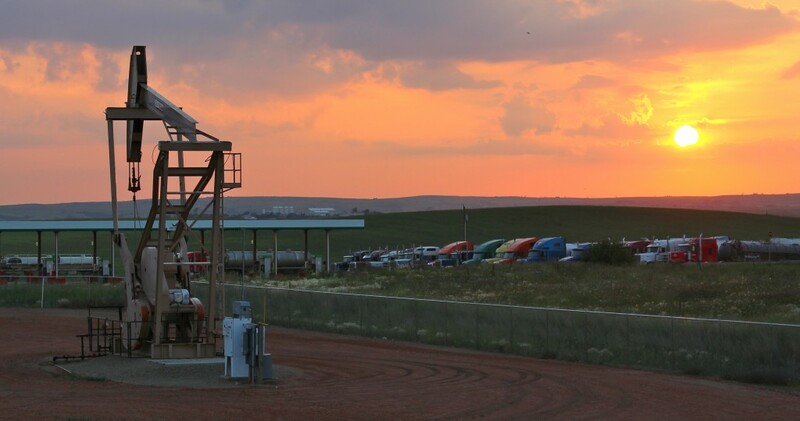 The first model utilizes the current water use and FP production data, and the second assumes a yearly 5% intensification of the hydraulic fracturing process. 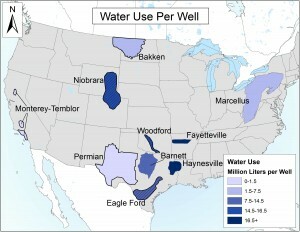 The predicted water use for hydraulic fracturing in 2030 (50–65 million m3 per year), FP water production (50–55 million m3 per year), and fresh water dilution of FP water (25 million m3 per year) constitute a water footprint that is much smaller than current water consumption and wastewater generation for coal mining, but higher than those of conventional gas production in China. Given estimates for water availability in Sichuan Basin, these predictions suggest that water might not be a limiting factor for future large-scale shale gas development in Sichuan Basin. December 15, 2017: A new paper on the global biogeochemical cycle of vanadium was published in Proceedings of the National Academy of Sciences (PNAS). A new paper titled “Global biogeochemical cycle of vanadium” authored by Bill Schlesinger, Emily Klien, and Avner Vengosh was published in PNAS. The paper shows that Human emissions of vanadium to atmosphere exceed natural sources by a factor of 1.7 and are destined to rise dramatically as humanity increases the use of heavy oils, tar sands, and bitumen as combustion sources. Duke press release and other media outlets (Applied Science and Technology, Pennies from Heaven, R&D Magazine) have reported this paper. 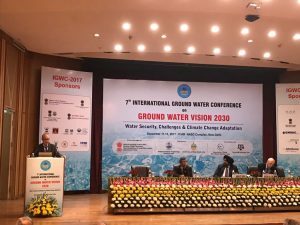 December 11, 2017: GroundWater Vision 2030 in India. Avner Vengosh was invited to present an opening keynote presentation titled “Challenges and Opportunities of groundwate resources in Southeast Asia” at the 7th International Groundwater Conference on “Groundwater Vision 2030” held in New Delhi, India, last week. 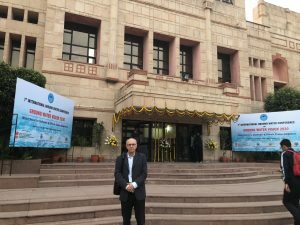 In addition, Professor Vengosh gave a second keynote presentation titled “New Insights into Groundwater Quality in Northwestern India”. 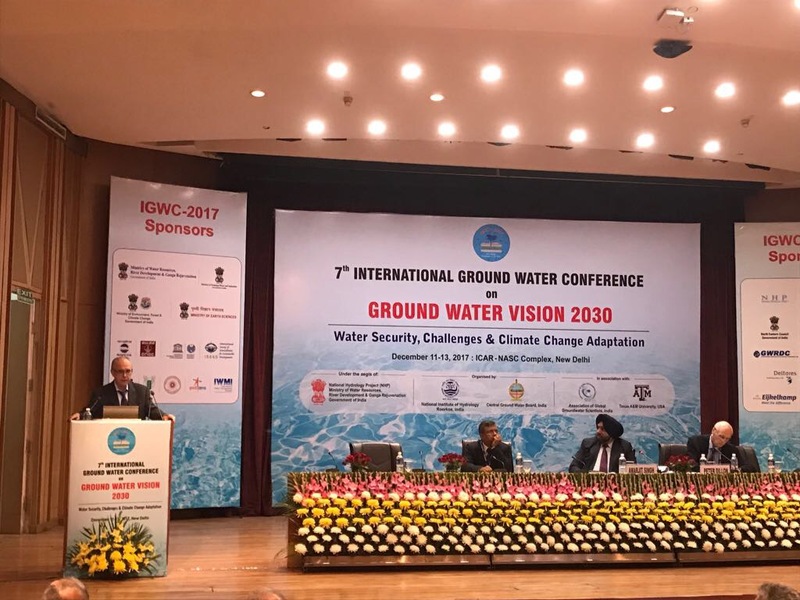 The conference was hosted by the Ministry of Water Resources, River Development and Ganga Rejuvenation and Institute of National Hydrology in India with participation of the ministers and secretaries of the water and environment ministries in India. 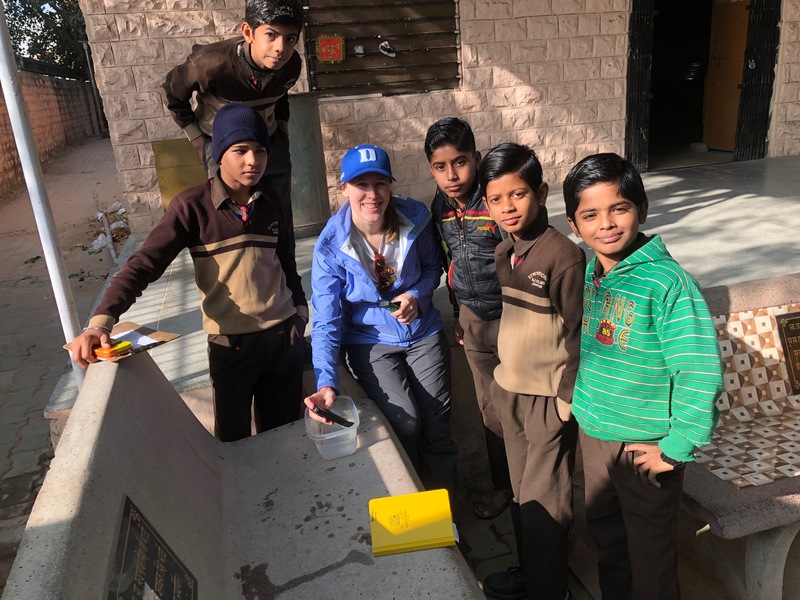 The presentation of Dr. Vengosh was part of a new research program aims to evaluate emerging contaminants issues in groundwater and drinking water in India, with special emphasis on water resources in northwestern India. November 1, 2017: High molybdenum in Wisconsin groundwater is not from coal ash contamination. 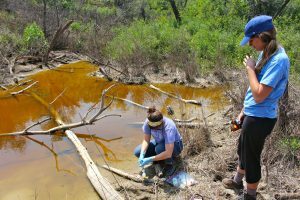 A new study entitled “Naturally Occurring versus Anthropogenic Sources of Elevated Molybdenum in Groundwater: Evidence for Geogenic Contamination from Southeast Wisconsin, United States ” published in Environmental Science and Technology reveals that high molybdenum discovered in in drinking-water wells in southeastern Wisconsin is not derived from coal ash disposal sites that are highly abundant in this region, but rather is naturally occurring (geogenic), originated from mobilization of of molybdenum from sulfur-rich rocks. 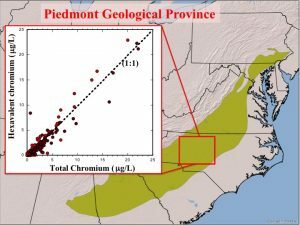 The study utilized overall water chemistry, geochemical tracers of boron and strontium isotopes, combined with age-dating isotope techniques to show that the molybdenum-rich groundwater is old (residence time >300 years) with geochemical fingerprints that are not consistent with those expected for coal ash contamination. 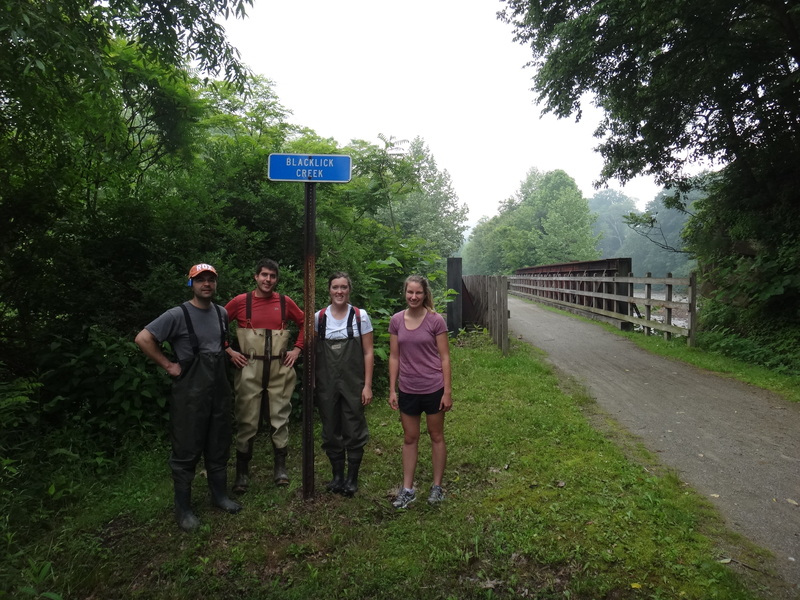 This study is a result of collaboration between Duke University (Avner Vengosh group) and Ohio Sate University (Tom Darrah group) with the help and support of Clean Wisconsin. Duke press release is posted here. The study was reported in the Herald Sun newspaper. 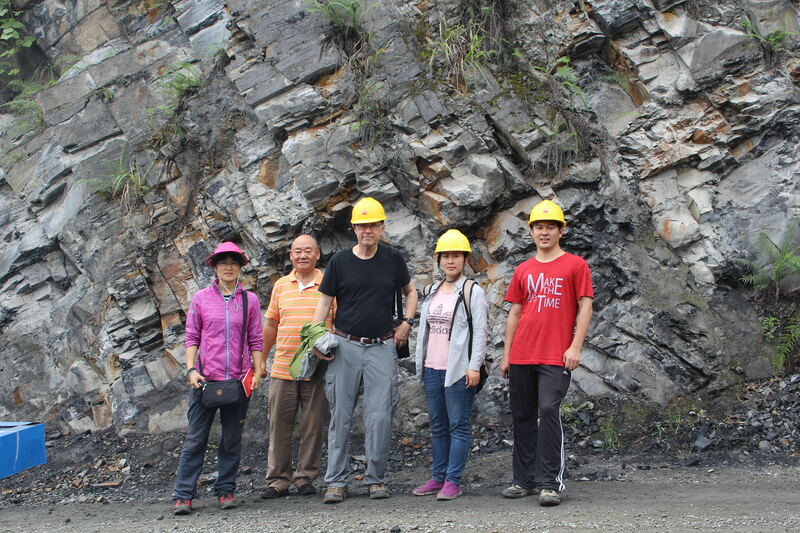 Example of molybdenum ore in rock matrix. August 1, 2017: Fracking Studies Earn ‘Most Cited’ and ‘Highly Read’ Accolades from the American Chemical Society. 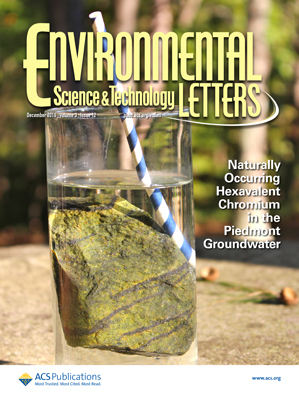 The editors of the ACS journal Environmental Science & Technology Letters have tapped the 2015 paper, “Water Footprint of Hydraulic Fracturing,” by PhD student Andrew Kondash and Avner Vengosh, professor of geochemistry and water quality, as one of their five Highly Read Editors’ Choice selections. 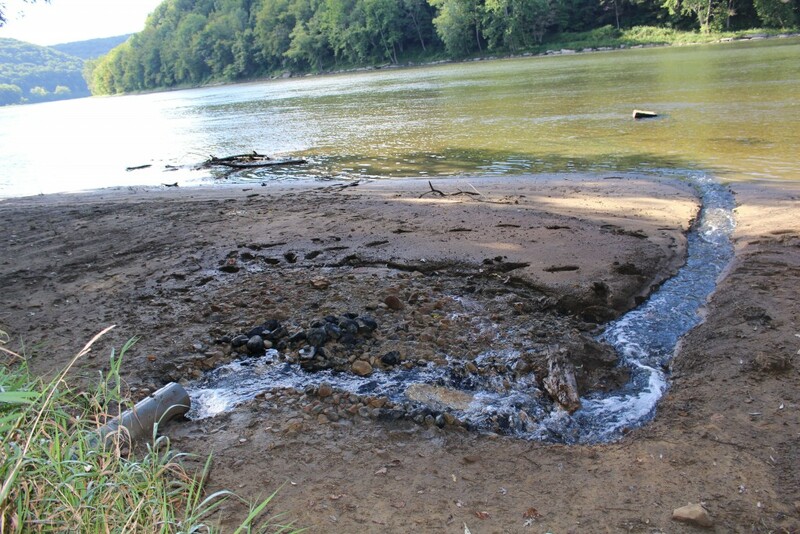 A 2013 paper by Vengosh’s lab, “Impacts of Shale Gas Wastewater on Water Quality in Western Pennsylvania” has been recognized as one of the five most cited articles published in the journal Environmental Science & Technology. Avner Vengosh was recognized as the Highly Prolific Author for Environmental Science & Technology Letters (see list). Here are Duke press release and Duke Chronicle article. April 25, 2017: A new study on the impact of shale gas development and hydraulic fracturing on water quality in West Virginia. April 15, 2017: A new study on fluoride exposure. A new study on biomarkers of chronic fluoride exposure of rural populations in Ethiopia was published in Science of the Total Environment. 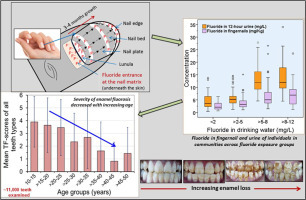 The paper examined the relation between fluoride concentrations in fingernail clippings and urine and the prevalence and severity of enamel fluorosis among Ethiopian Rift Valley populations exposed to high levels of fluoride in drinking water. January 12, 2017: $500,000 USDA Grant Funds Study on Impacts of Using Oilfield Wastewater for Irrigation. A team of Duke University and RTI received funding from USDA to study the long-term impact of using oilfield brines for irrigation in California. The Duke team composed of Avner Vengosh and Erika Weinthal will look at the possible impact on soil and plant chemistry in areas where oilfield brines have been used for irrigation in Central Valley, California. This project is part of the Energy-Water-Food Nexus research at Duke University. For more information see here. For information on the project and the participants see the project web site. 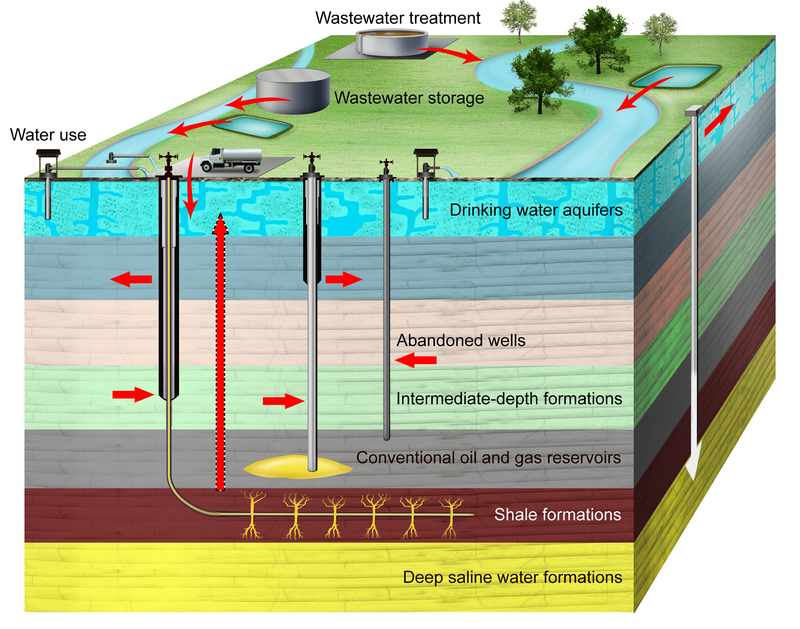 October 14, 2016: A new study on the quantity and the source of wastewater originated from unconventional oil and gas wells was published in Science of the Total Environment. The study evaluates the volume and dynamics of wastewater generated from oil and gas wells in the major unconventional oil and gas basins in the U.S. 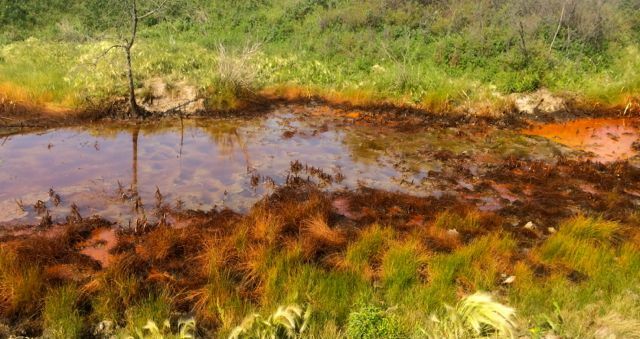 The study shows that during the first few months the volume of wastewater is high and yet after 6 months the volume is typically reduced by an order of magnitude, similar to the reduction of hydrocarbons extracted from shale gas and tight oil wells. The study shows that the volume of the injected water returned to the surface is far lower than the volume of the injected hydraulic fracturing water. By using the changes in the salinity of the flowback water, the study conducted mass-balance calculations to show that the contribution of the returned injected hydraulic fracturing fluids is low and consists of 4-8% of the total volume of unconventional oil and gas wastewater. In contrast, the volume of the formation water that is entrapped within the shale or tight sand consists more than 90% of the total volume of unconventional oil and gas wastewater. Duke press release is presented here. The study was published in several media and news items, including Daily Caller, Water World, Kallanish Energy. June 10, 2016: A new study that presents evidence for leaking of coal ash ponds in the Southeastern U.S. was published in Environmental Science and Technology. The study examines possible leaking of coal ash ponds from 7 coal ash pond sites in Tennessee, Georgia, Virginia, and Kentucky and 14 sites in North Carolina. We used geochemical and isotope tracers to demonstrate that all of the investigated sites are leaking to both surface water and one site also to shallow groundwater. In some cases, the impacted water had also elevated levels of contaminants above the EPA drinking and ecological standards, causing direct contamination of surface water and shallow groundwater. 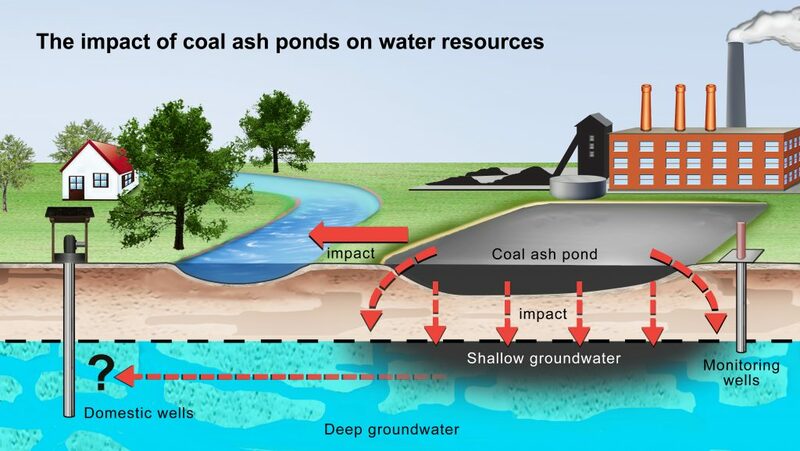 The study is based on systematic sampling and analysis of seepages, surface water, and shallow groundwater relative upstream background water and using sensitive geochemical fingerprints that allow the detection of contaminants that were originated from coal ash. We used the boron and strontium isotope fingerprints to delineate the source of contamination and verify their link to coal ash ponds. In North Carolina we used NC-DEQ database for groundwater samples collected and analyzed between 2010 and 2015. 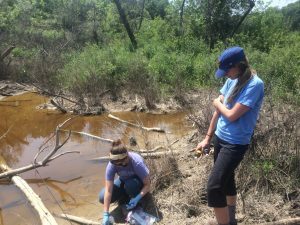 The data show that out of 165 monitoring wells, 65 were impacted with high boron levels and 49 had high contaminants levels that are typical of coal ash ponds. This is one of fist attempts to conduct a large scale evaluation of the risks of coal ash ponds to waterways and shallow groundwater in the southeast U.S. Duke press release is presented here. The paper was aired in WUNC (NPR) and WRAL and published in several media and news papers, including Winston Salem Journal, Charlotte Observer, Fredricksburg, Forbes, The Daily Progress, News and Observer, Undark, Environmental Leader, Atlanta Journal, Bay Journal. 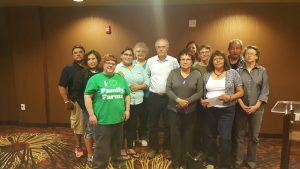 May 18, 2016: Avner Vengosh visited NewTown in Fort Berthold Indian Reservation, North Dakota and met with tribal and community college members to discuss the outcome of the study on oil brine spills in North Dakota and implications on the environment and human health. The meetings were covered by local media including Oil Patch Dispatch, Bismarck Tribune, and local TV stations – the KXnew and KMOT-TV . the presentation was recorded and presented by North Dakota Resource Council. For more on community empowerment and conversation see the article “Facing Fracking Fears, Tribal Advocate Finds Affirmation in Water Contaminant Study” by Ben Young Landis. January 2016: A new paper by Schlesinger and Vengosh entiled “Global Boron Cycle in the Anthropocene” was published in Global Biogeochemical Cycles. December 2015: Avner Vengosh gave a presentation on the environmental effects of unconventional energy development in the Golan Height, Israel. 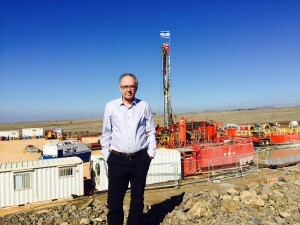 Vengosh also visited a rig that is part of exploration that attempts to tap hydrocarbons from unconventional resources in the Golan Height. 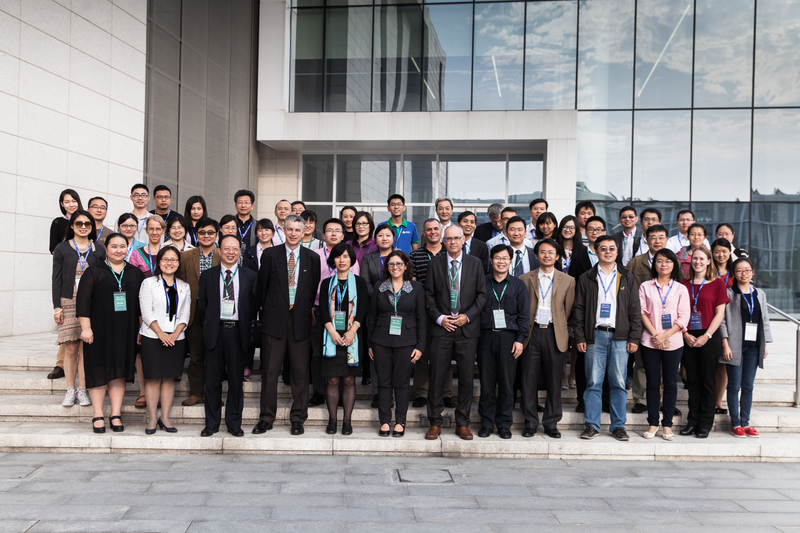 October 14-15, 2015: The Second Water-Energy in China workshop was held in Duke Kunshan campus at Kunshan, China. More than 100 participants from China, the US, and Israel attended the workshop that addressed different topics — science, engineering, policy — related to the water-energy nexus in China. For more details on the workshop see here. For the program, list of speakers, and their presentation see the workshop web site. 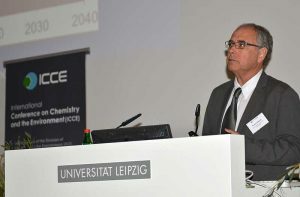 September 20, 2015: Avner Vengosh gave a Plenary Keynote presentation on “An overview of the risks to water resources from unconventional energy exploration and hydraulic fracturing” at the opening night of the 15th EuCheM International Conference on Chemistry and the Environment, Leipzig, Germany. 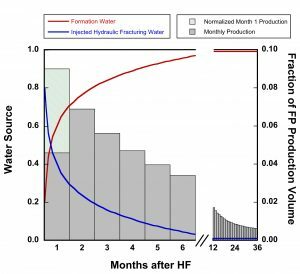 September 15, 2015: A new study examines the water use and volume of flowback and produced water generated from hydraulic fracturing. The paper “Water footprint of Hydraulic Fracturing” was published in the journal Environmental Science and Technology Letters. The study is the first to integrate several databases sources to generate a comprehensive evaluation of the water use, water use intensity (normalized to the energy utilized), flowback and produced water generation, and flowback and produced water intensity. Duke press release is posted here. The American Chemical Society press release is here. The study was reported by numerous news clips including Nature World News, R&D Magazine, Triangle Business Journal, High Country News, WaterWorld, and Natural Gas Report. The paper is posted here:Water Footprint of Hydraulic Fracturing_EST_Letters. 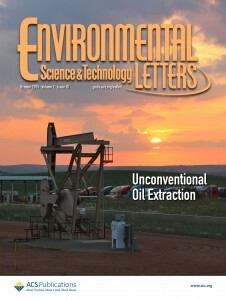 The paper was selected for the cover page of Environmental Science and Technology Letters. July 13, 2015: Avner Vengosh Elected Fellow of the Geological Society of America. Avner Vengosh, professor of geochemistry and water quality at Duke University’s Nicholas School of the Environment, has been elected a Fellow of the Geological Society of America (GSA). GSA fellowships are awarded annually to scientists who have been recognized by their peers as making significant contributions to the field of geology through published research, public outreach, and the training of graduate students. In selecting Vengosh for the honor, the GSA cited his “research contributions in isotope and environmental geochemistry, including seminal studies in the area of energy development and water quality” and his role as “an innovator in methodological development of boron isotope measurements and their use in solving hydrogeochemical and environmental problems.” A prolific researcher with more than 100 peer-reviewed studies to his credit, Vengosh is widely cited for his groundbreaking development of isotopic “fingerprinting” technologies that allow scientists to identify and measure water contaminants and track them to their source. His research has played a central role in assessing – and helping find solutions to – potential risks to water resources posed by a wide range of causes, including salinization; coal ash residue; oil and gas drilling and hydraulic fracturing; oil and gas wastewater disposal; agricultural contamination; and mountaintop coal mining runoff. 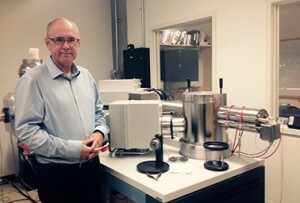 As part of his team’s research on the environmental effects of hydraulic fracturing, they have collected and analyzed more than 1,000 water samples from drinking water wells and surface water in Pennsylvania, West Virginia, New York, Arkansas, North Carolina, Colorado, California and North Dakota.Vengosh has also used his forensic tracers to identify the sources of natural radioactivity in groundwater supplies in the Middle East and radon in groundwater in the southeastern United States, and to identify links between naturally occurring water contaminants, local geology and human health in Ethiopia, Morocco and Vietnam.A study he led identifying high levels of radioactivity, salts and metals in shale gas wastewater was named the best science paper of 2013 by the editors of the journal Environmental Science & Technology. Another study, providing the first comprehensive review of potential risks to water resources posed by unconventional shale gas development and hydraulic fracturing, was selected as one of the best peer-reviewed studies of 2014 by the editors of the same journal. In recognition of his expertise, Vengosh has twice been invited to testify before Congress on the water-quality impacts of coal ash contamination. 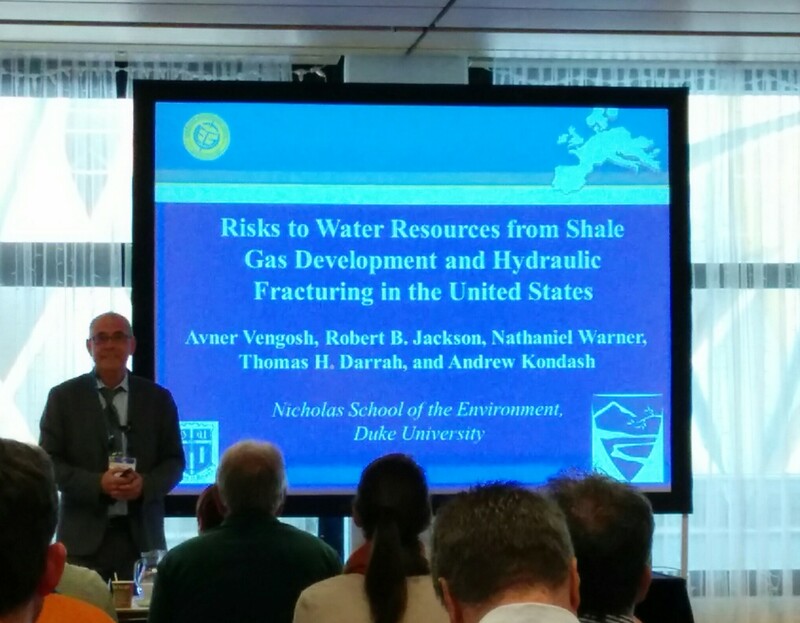 May 18-19, 2015: Avner Vengosh participated and presented at the National Academy of Science workshop on “Chemistry and Engineering of Shale Gas and Tight Oil Resource Development” at Washington, DC. For more information on the workshop see this link. 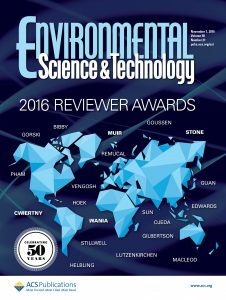 April 16, 2015: A critical review paper that provided the first comprehensive review of the potential risks to water resources posed by unconventional shale gas development and hydraulic fracturing has been selected as one of the best peer-reviewed papers of 2014 by the editors of the journal Environmental Science & Technology (ES&T). The paper “A Critical Review of the Risks to Water Resources from Unconventional Shale Gas Development and Hydraulic Fracturing in the United States” was chosen as 2nd runner-up in the Environmental Policy category. It was selected for the honor from among more than 1,700 peer-reviewed papers published in ES&T in 2014. This is the second year in a row a paper by Vengosh’s team has been selected as one of ES&T’s top papers. 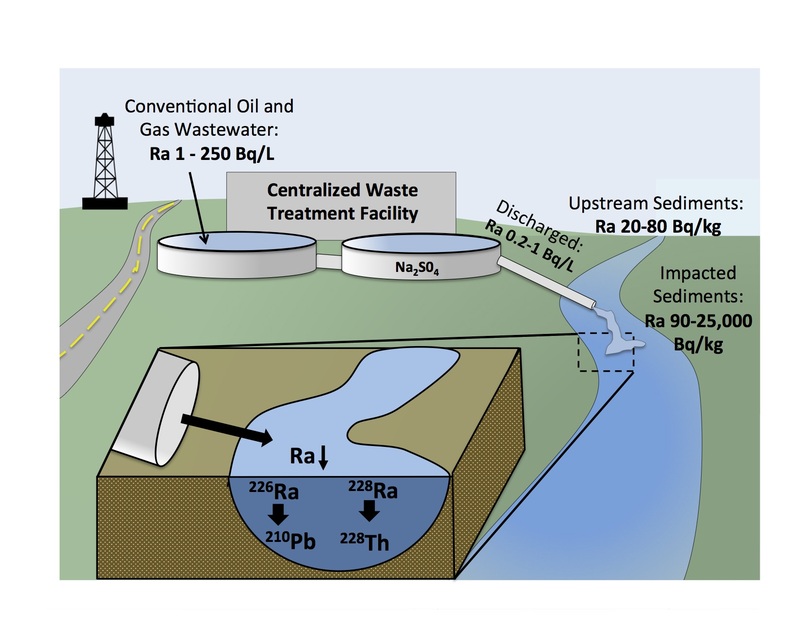 The paper “Impacts of shale gas wastewater disposal on water quality in western Pennsylvania” was selected as the journal’s Best Science Paper of 2013. For more information see Duke Press release. 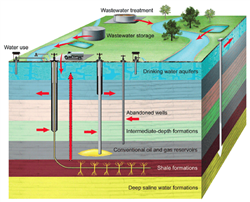 The paper is posted here: ES&T Review on hydraulic fracturing. NSF reports on this study by the news clip (see the second item). January 9, 2015: A new study on the occurrence of arsenic in groundwater and the exposure of local residents in the Mekong Delta of Vietnam was published in Science of Total Environment. The study shows high level of arsenic (up to 1,000 ppb) in groundwater adjacent to the Mekong River. High arsenic was found particularly in reduced and low-saline groundwater. Arsenic content in nails collected from local residents was significantly correlated to As in drinking water (R=0.56, p<0.001). Survey data show that the ratio of arsenic in nail to arsenic in water varied among residents, reflecting differential arsenic bioaccumulation in specific exposed sub-populations. 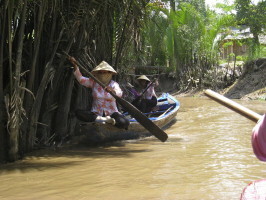 The paper is posted here Arsenic exposure in Mekong Delta. December 16, 2014: A new study on the use of boron and strontium isotopes as tracers for the impact of coal ash contaminants on the environment was published in Environmental Science & Technology. The study examined the boron and strontium isotopic fingerprints of coal ash originated from coals of different basins in the USA as well as specific case studies where coal ash has impacted the environment: the TVA coal ash spill in TN, the discharge of coal ash effluents to waterways in NC and impacted water resources. 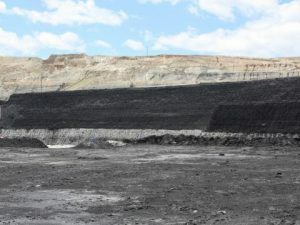 The study found the integration of boron and strontium isotopes with water geochemistry could provide a unique and powerful tool for delineating and quantifying the impact of coal ash on the environment. Duke press release of the paper is here. The paper is posted here: es503746v_coal ash tracers. November 7, 2014: Duke University and Duke Kunshan University (DKU) water-energy workshop, Fairmont Hotel, Kunshan, China, chaired by Avner Vengosh and Marc Deshusses. 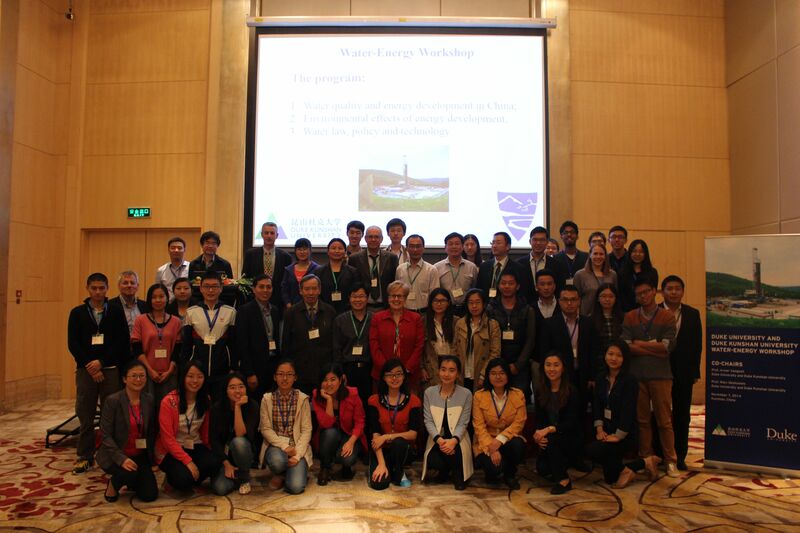 Over 50 participants attend the water-energy workshop held along Yangcheng Lake, in Kunshan. The workshop addressed key interdisciplinary issues related to water and energy development in China, including oil and gas, coalbed methane, and unconventional shale gas and hydraulic fracturing. 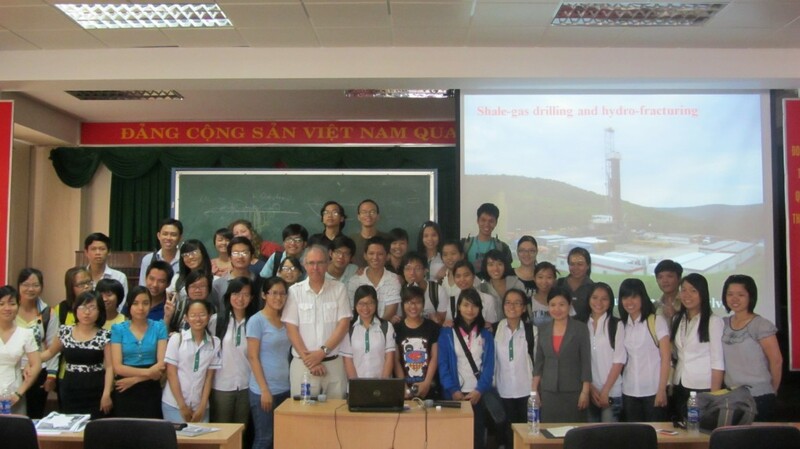 The workshop presented data on water availability and quality in China, energy development, environmental effects of the different energy development particularly, derived from hydraulic fracturing, water law, water policy, and treatment technologies. 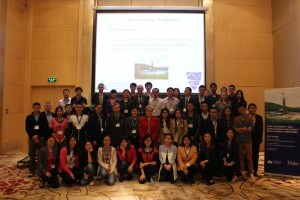 The workshop aimed to explore possible research networks and collaboration of Duke and DKU faculty with Chinese colleagues engaged with water and energy research. Speakers included scientists from different academic institutions in China and Duke faculty addressing both scientific, engineering, and policy aspects. For the program and details see here. 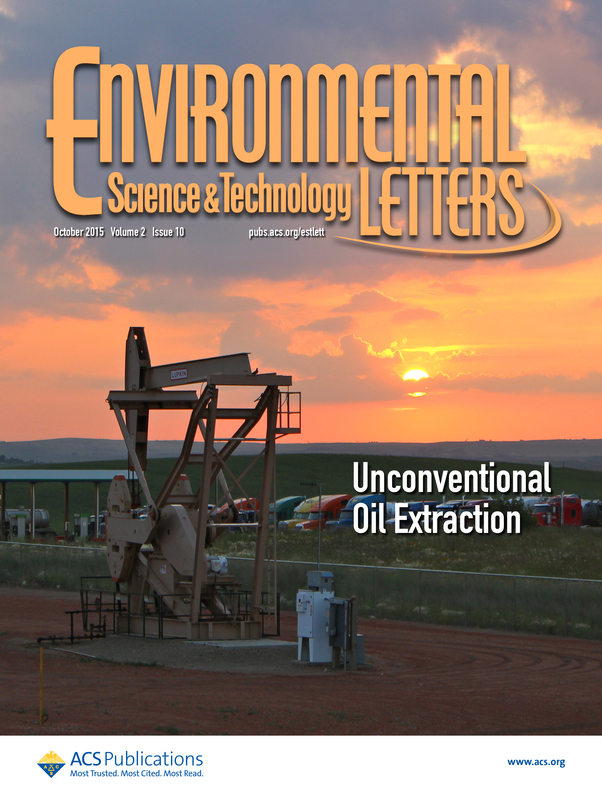 October 20, 2014: A new study of tracing hydraulic fracturing fluids in the environment by using boron and lithium isotopes was published in Environmental Science and Technology. This is the first study to use boron and lithium isotopic fingerprints for delineating hydraulic fracturing fluids in contaminated water and distinguish their impacts from other sources of contamination. 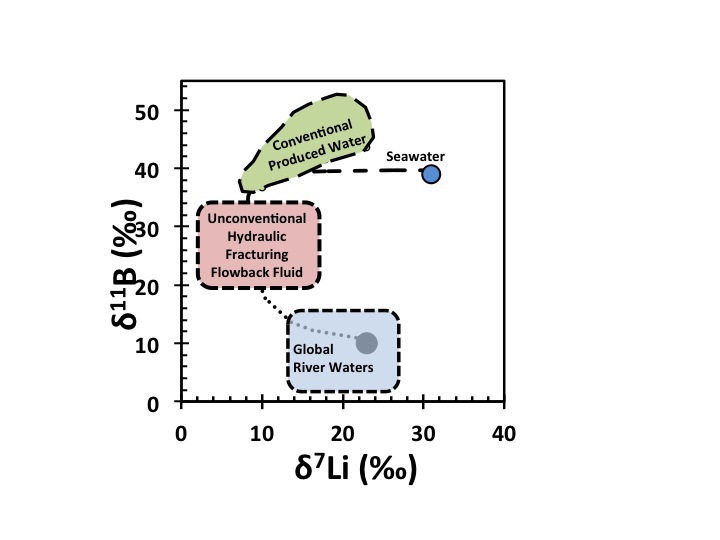 The distinguished geochemical signature of flowback water is hypothesized to be derived from mobilization of boron and lithium from exchangeable sites on clay minerals during hydraulic fracturing process. Duke press release of the paper is here. NSF funded the project and also issued a press release. The study was reported by numerous news clips including News and Records, Think Progress, Laboratory Equipment, Headlines and Global news, Environmental leaders, News and Observer, Water World, and Earth Magazine. The paper is posted es5032135. September 15, 2014: A new Duke study on stray gas contamination in drinking water wells located near shale gas drilling sites in Pennsylvania and Texas was published in the Proceedings of national Academy of Science of the USA. The new study established new geochemical methodology based on the integration of noble gas geochemistry and hydrocarbons ratios and isotopes to distinguish between naturally occurring methane flux to shallow aquifers and methane contamination derived directly from leaking from shale gas wells. The paper is posted here: PNAS-2014-Darrah-1322107111. More information on the paper is in Duke press release. The study was covered by hundreds of news clips from all over the world including the New York Times, USA Today, BBC, the Telegraph, Wall Street Journal, Newsweek, Bloomberg, the Guardian, Washington Post, Weather ford Democrat, Dallas morning News, Public News Service , Salon, as well as radio stations including NPR WUNC, the John Gambling Show, NYC, and Hoppy Kercheval of Metronews, West Virginia Radio Network. August 8-12, 2014: Future hydraulic fracturing and shale gas exploration in North Carolina: The News and Observer article on research at Duke on hydraulic fracturing and editorial on the lack of North Carolina officials to use the scientific data. Also Vengosh’s interview to Capital Tonight, Time Warner Cable News is linked here. June 26 – July 7, 2014: Avner Vengosh visit to South Africa as part of a water-quality baseline research at the Karoo Basin. Dr. Vengosh gave public presentations at the University of Cape Town and University of Pretoria and also participated in two-days workshop entitled “Review of risks to water resources from unconventional gas exploration and production in South Africa and water science plan for unconventional gas development (Workshop-outcomes-unconventional-gas-risks to water). 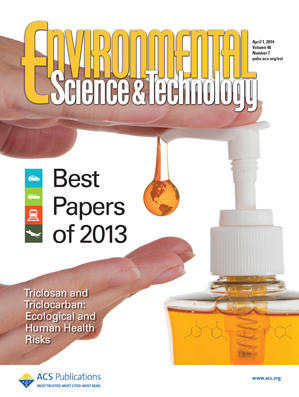 March 6, 2014: Our study on the environmental effects of shale Gas wastewater Named ES&T’s Best Science Paper for 2013 (!). 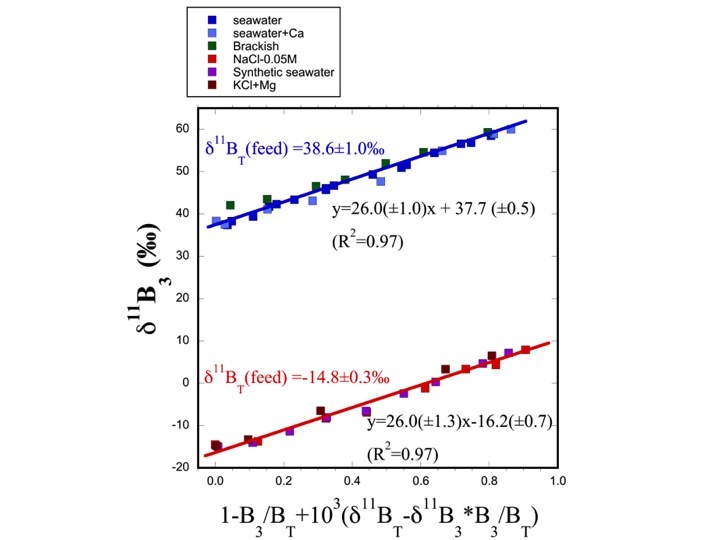 Out of 1,600 papers published in ES&T during 2013, the journal editors selected our paper. The ES&T announcement and interview with the paper authors Nat Warner and Avner Vengosh is presented here. Duke press release is presented here. A link to the paper is provided here. February 5, 2014: Avner Vengosh giving a talk on the “Myths and Reality of Water Contamination from Fracking” at Duke Center for International Studies. December 31, 2013: The paper on elevated level of radioactivity in hydtraulic fracturing fluids and radium accumulation on sediments in a disposal site in PA was selected for the Top 11 Energy & Environmental Infographics of 2013. December 24, 2013: A new study on the beneficial use of blending hydraulic fracturing fluids with acid mine drainage shows that much of the radioactivity of flowback water from shale gas would be reduced due to co-precipitation of Sr-barite minerals. The study was published in Environmental Science and Technology es_HF-AMD mix. See Duke Press Release. The study was reported Nature World News, NPR-PA, ABC-news, NSF news, Brazil Sun, and Water World. November 5, 2013: A new study on arsenic occurrence in toenail keratin suggests that a person’s exposure to arsenic in drinking water can be detected by simple measurements of arsenic in the nails. The study was published in Journal Of Exposure Science And Environmental Epidemiology. See Duke press release of the study. 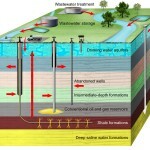 June 24, 2013: A new study finds Higher Levels of Stray Gases Found in Water Wells Near Shale Gas Sites. The study was published in Proceedings of the National Academy of Sciences of the United States (PNAS). See Duke press release. Get paper (PNAS_Jacksonetal2013). June 1, 2013: A documentary film “Downwind and downstream“, as part of a short film series on the impacts of coal ash interviews Avner Vengosh in the film “With Power comes Responsibility“. May 30, 2013: Avner Vengosh presents “Risks of shale gas exploration and hydraulic fracturing to water resources in the US” at “Workshop on Risks of Unconventional Shale Gas Development” hosted by the National Academy of Science. The presentation See presentation here. May 15, 2013: Study Finds No Evidence of Water Contamination from Shale Gas Drilling in Arkansas published in Applied Geochemistry . See Duke press release. Also AP report published in the Washington Post. April 8, 2013: A new study on the salinity of groundwater from the Saharan oases in the Draa Basin of southern Morocco was published in Applied Geochemistry. See Duke Press release. February 16, 2013: Vengosh interviewed by WCNC-TV on water contamination by coal ash ponds in North Carolina. 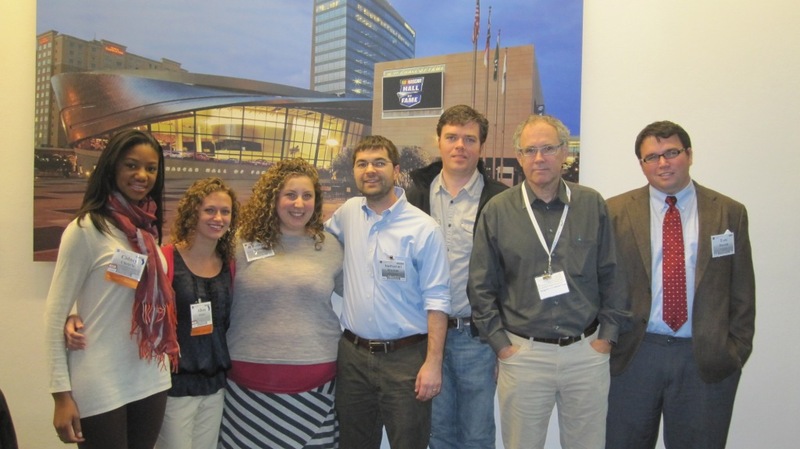 November 6, 2012: Geological Society America meeting, Pardee Keynote Sessions – Shale Gas Development and Hydraulic Fracturing Impacts on Water Resources in the United States , Charlotte, North Carolina. November 5, 2012: Radioactive Water Threatens Middle East . Spiegel Online International, Germany. October 28, 2012: Op-ed by Avner Vengosh in News and Observer: Coal ash’s threat to N.C. water . Also you can see it here. 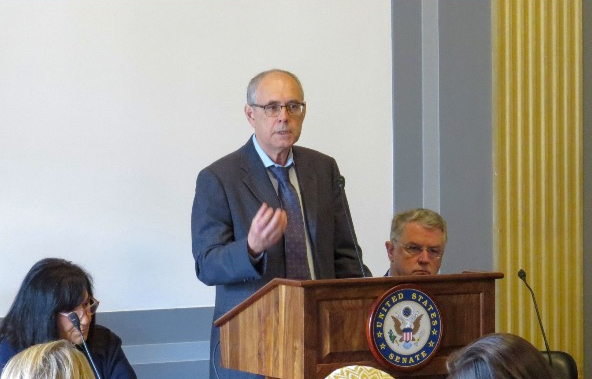 October 18, 2012: Avner Vengosh to Testify on Environmental Impacts of Energy Production at Oct. 18 Congressional Briefing (Abstract_energy_AERC_Vengosh ). The extend presentation was presented at the Association of Ecosystem Research Centers (AERC) symposium and posted on-line. 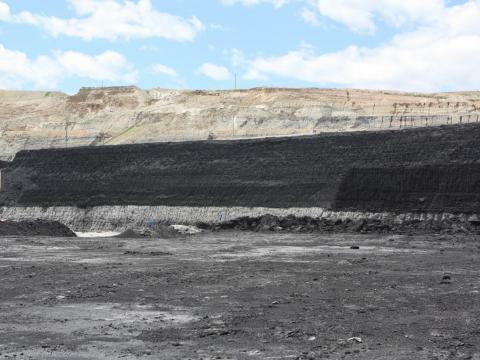 October 15, 2012: High Levels of Coal Ash Contaminants Found in N.C. Waters: A new paper entitled “The Impact of Coal Combustion Residue Effluent on Water Resources: A North Carolina Example” was published in Environmental Science and Technology (see paper here). 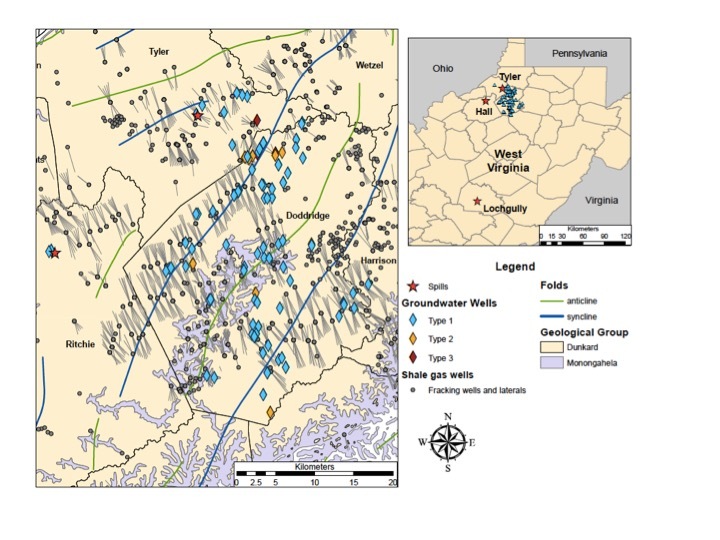 July 9, 2012: A new paper entitled ” Geochemical evidence for possible natural migration of Marcellus Formation brine to shallow aquifers in Pennsylvania” was published in the Proceedings of the National Academy of Sciences of the United States (PNAS). One of the many media coverage and an interview with WRAL-TV is presented here. 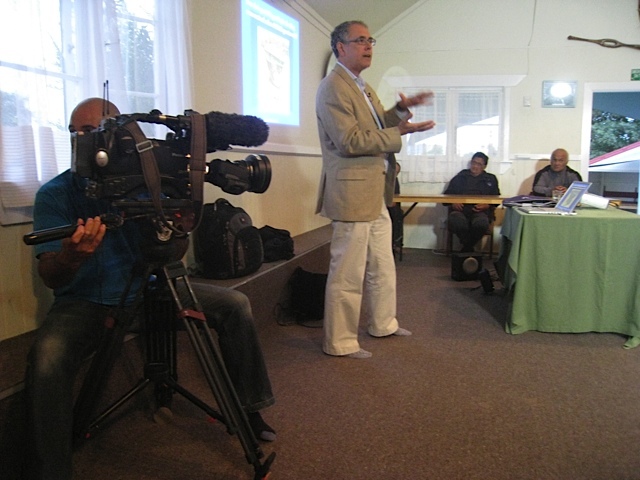 March 18, 2012: Fracking in New Zealand: Vengosh interviewed to 60 minutes New Zealand. Vengosh, A., Merola, B.R., Ruhl, L., Warner, N., Lindberg, T., Di Giulio, R.T. (2011) Strontium isotope variations as a proxy for selenium contamination from mountaintop mining. Geological Society of America Abstracts with Programs, 43, No. 5, p. 345. Ruhl. L., Vengosh, A., Dwyer, G. (2011). 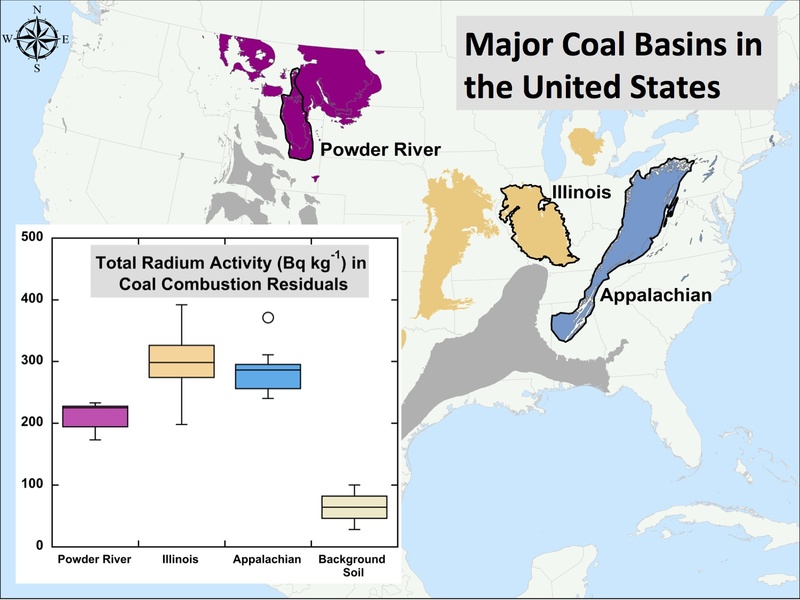 Geochemical charactarization of the environmental impacts of coal combustion products: lessons from the Tennessee Valley Authority coal ash spill. Geological Society of America Abstracts with Programs, Vol. 43, No. 5, p. 409. Warner, N. Osborn, S., Jackson, R., Vengosh, A. (2011). 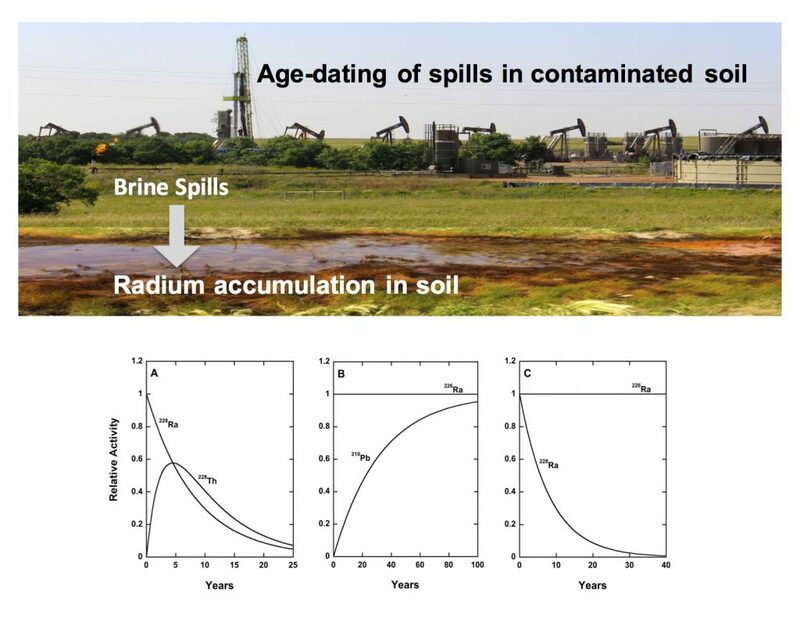 Boron and strontium isotopes as sensitive tracers for indicating potential shallow groundwater contamination from Marcellus Formation brines. Geological Society of America Abstracts with Programs, Vol. 43, No. 5, p. 566. Osborn, S., Warner, N., Vengosh, A., Jackson, R. (2011). Dissolved gas geochemistry of shallow groundwater systems in Pennsylvania and New York, associated with natural gas extraction. Geological Society of America Abstracts with Programs, Vol. 43, No. 5, p. 567. (more about IAGC fellow see here). 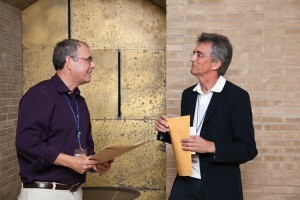 Vengosh receives the Fellow of International Association of Geochemistry Award award at the International Geochemistry Symposium – Applied Isotope Geochemisty (AIG-9), Tarragona, Spain, September 2011. For more updated news see here and older news see here.